Husband. Father. Coach. Entrepreneur. Philanthropist. Part-time Wordsmith. Tim’s love of baseball and working with young children led him to host free baseball clinics for the underprivileged boys and girls of Guadalupe, Arizona, where his family has deep roots. That is what sparked his passion for giving back. A portion of the proceeds from this book will be donated to Frank Elementary School in Guadalupe to give children who come from humble beginnings the ability to rise up, succeed, and even pay it forward someday. Tim is available for author visits. Learn More. The illustrations in this book were created using watercolors, pens, and love (secret ingredient… shh!). All I want to do is create art! I am head-over-heels in love with using and crafting innovative artistic methods. I have always resisted rules, structure, and instructions; instead opting for chance and “Let’s just see what happens!” I am fearless when it comes to new ways of expressing myself and am often seen searching for objects such as bottle caps, bolts, and wires to fashion into new experiments of color, texture, and meaning. I am a mama, grandma, yogi, dancer, swimmer, nature lover, coffee enthusiast, and Mexican food fanatic. My favorite mantra is, “If not now, when?” and that’s how I try to live! 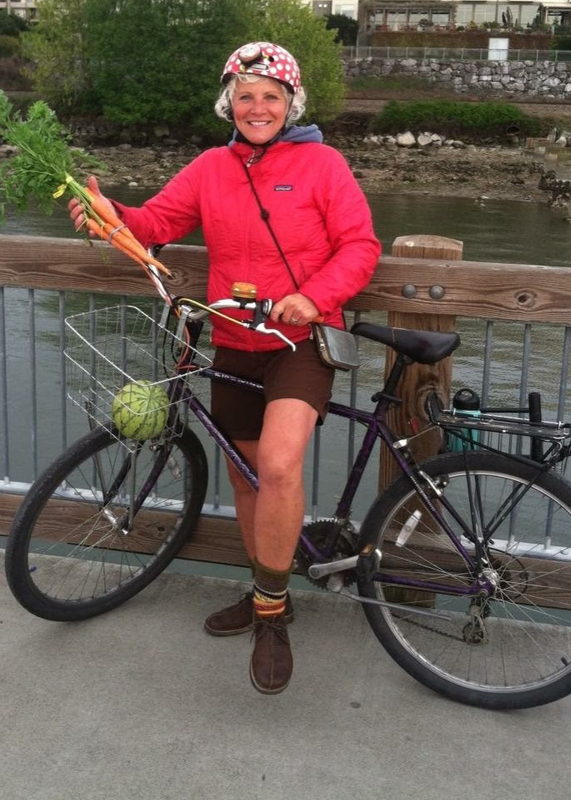 Look for me riding my bike all over Bellingham, Washington, especially the boardwalk at Boulevard Park, dancing at the Firehouse, practicing yoga at 3 Om’s and Inspire Yoga Studio, drinking espresso at Wood’s, attending dance classes at WWU, and shopping for local produce at Joe’s Garden. After raising their two sons George and Ralph, Isabel and Poncho opened a takeout in a little house on Central Avenue in Phoenix, Arizona, in 1972 and named it Ponchos Mexican Food. They lived in the back of the house and served Isabel’s delicious food out of the front of the house. As word spread, they moved out of the home, converting it into a full-service restaurant that is still successful today. In 1999, President Bill Clinton made a surprise visit and enjoyed dinner at Ponchos. Slow-cooked meats, flavorful sauces, fresh seasonal vegetables, and homemade salsas wrapped in warm, handmade tortillas proved a hit from the very beginning. There is no substitute for the delicate flavors and aromas of the family recipes. In 1986, Isabel and Poncho’s son, George, and his wife, Mary, opened the first Someburros, quickly gaining a loyal clientele of diners who, generation after generation, returned again and again, craving the restaurant’s signature dishes and warm atmosphere. More recently, George and Mary’s children—Tim, Amy, and Jennilyn—have taken over the daily operations of Someburros. Even young grandson Cody Vasquez has become skilled at whipping up the family’s inspired cuisine on his own, continuing to set the tone for younger generations to experience Someburros’ made-from-scratch specialties. In 2013, The Vasquez Family opened Isabel’s Amor in Gilbert, Arizona, dedicated to serving more of Isabel’s signature dishes that were uncovered in an old, tattered recipe book. Next to the bar, black and white photos are displayed on the wall of Isabel and her family as Poncho’s old cowboy hat hangs for all to see. Isabel passed away just two months before Someburros opened in 1986, but her legacy lives on in the delicious food, bringing smiles to the faces of hungry families every day. The Taco Stand was produced by Story Monsters LLC.